Redfin is full-service, local agents who get to know you over coffee and on home tours, and we use online tools to make you smarter and faster. "Great App to Search for Your Future Home"
I started using Redfin when I was first looking for our new home. I just downloaded it to my phone and on weekends we would drive around the neighborhoods and look for open houses using the app. It was that easy. I could just save the homes I liked as favorites and would get instantly notified if the status of the home changed. We have also used a Redfin agent to help us with the closing process and he was so fast and responsive that we could not believe it. The document signing takes place online, so you don't actually have to meet with the agent every time you want to make a change to the documents. I highly recommend Redfin. It's the company to go to when you're searching for your home or even investment properties. I do not really remember anything that I can point out here. As I said before, I totally enjoy using the Redfin app. Sometimes I just browse homes for sale in an area where I want to invest and it's super easy to use. Nothing to complain about just yet after more than 2 years of using it. Definitely use the Redfin application if you are searching for new homes or investment properties. It saves a lot of time. You can just drive in your target neighborhood and check out houses for sale and those with open houses. If you want to schedule a tour, you can add a couple of houses in your list and contact the Redfin agent that will schedule the tour for you. I'm not connected with Redfin in any way. I just love using the app. I also use Zillow and I really like them both. They both offer something little different, so I like to complement one to another all the time. Currently I am trying to find properties for investment. Redfin is very easy to use and can help me quickly locate and assess the properties. I can select my favorites and watch if anything changes in their status. "Great for comps... but not located in some areas!" I love using RedFin to find comparable properties and an estimated value of houses I'm trying to purchase. The best part about the product is the mapping software you can use to map out where comparable properties have sold, which increases my accuracy 10-fold. The only issue is the fact that they are not located in some neighborhoods that I buy homes in, but they should be coming soon! Use it, highly recommended and use it often as it updates almost hourly with MLS listings. I am finding comparable properties a lot easier with their software and systems. "See listings appear before any other site!" The app for Redfin is superior to any of the other home-buying and selling apps. This is what sets it apart. In a market that is so fast-paced and crazy, it is important to be able to access listings on the go and that means from cell phones. I found that the listings were showing up a full day before many other sites, which can make or break a deal. There was nothing that I disliked about Redfin. It is easy to use and that is the most crucial aspect of an app and website that gets so much traffic. Use this program - you won't regret it. It is helpful to agents and buyers in making sure everyone has access to the listings and all of the information that goes along with those listings. In an up market, it is important to be as accessible and informative as possible. Users are wanting to have everything at their fingertips all of the time, and Redfin gives it to them. Redfin makes it super easy to share listings in a visually appealing way and on a platform that is user friendly. "Looking for my first home and Redfin seems to be one the most user friendly platforms for searching"
I like the User Experience the best when using Redfin. It is simple to use and to jump to certain areas for searching for certain homes I am looking for. I am a first time buyer and Redfin seems to have the best pictures and a lot of options where I am looking. It seems pretty up to date and I like being their estimate if the home is listed above or below market comparables. They are not in all areas yet. They have big gaps when it comes to location. Not sure how quickly they are expanding. So I have to go to other platforms if they don't carry that area. I can see what is on the market and get a good sense of the property and price. "Useful tool for monitoring new and existing listings"
I had previously set up a search for new listings based on specific criteria. The email would arrive first thing in the morning and I'd be right up to speed on the latest info on the local market. Perfect for beating others out to see new listing properties. The website can be erratic in sending out emails. I had been receiving daily emails for years based on a search that I set up. The emails now come in, but just randomly. It's no longer a dependable source for daily new info. I was able to find my own home using the daily notification for new home listings. I also use it to keep track of changes in the local market pricing and sales activity for the residential market. And it's come in handy for uncovering new listings for a few clients well before they were advertised elsewhere. I'm not a fan of redfin as a real estate professional. It is very gimmicky. It is all about saving the buyer or seller money. However, this takes away from the professionals that are trying to make a living out there. It is basically like what Uber did to taxi cab drivers. Unless you have a long standing relationship with a realtor why would you choose to pay the standard fees when you could do a discounted transaction. However, I believe the realtor not with redfin are more experienced. I see the lure of using redfin from a strictly financial standpoint, however you arent finding the experienced agents when using redfin. It is great for your listings to be on as many sites are possible but I am just not a fan of discounted real estate services. Redfin offers the same services for a discounted fee to sellers. "You might find homes that your realtor would miss!" Redfin allows you to search by zipcode, city, or even school district. I prefer to search this way instead of by the traditional search that says, "Only show me results for 3 bed, 2 bath homes with a 2 car garage." In my experience, some realtors might miss homes that would interest you because they don't want to ignore the criteria you gave them. But see if you can relate to my experience: My wife and I found an amazing house in the perfect neighborhood, walkable to public transportation, and a detached garage (I actually prefer). One problem, the home only had 1 bath. We had told our realtor that we wanted at least 2 baths. Therefore, our house didn't show up in her search results. I happened across our home using redfin, searching by location (walkable to the train station). We have found that with just the 2 of us, 1 bathroom is fine for now (although we have plans to expand). Redfin is easy and intuitive, and has a great smartphone app. I have found that their data is just as up-to-date as MLS searches by your realtor. The only dislike I have is that they are not available in all areas (yet). Set up email or notifications on your phone to get new search results as they become available. "Just another Real Estate Website"
I like the walkability score, along with public transit score. It's a quick way to see what sort of location you're dealing with. I can't always see a full tour, or all the pictures if the house is under contract or sold. So if I'm looking for comps, I don't get the full picture of what the house has to offer. Also, some of the information is outdated. For example, I own a 1 bedroom, 2 bathroom home. On Redfin it is listed as a 1/1. Keep in mind that Redfin could have outdated information compared to the MLS. I can see recently sold homes that are similar to the house I'm looking at. This can help me price a home to sell. "An ok way to be apart of your customer's home search"
I like that it puts my buyers and I on the same page in their home search. I would rather use our MLS system or a personally branded app. It seems to update fairly slowly. Inform your buyers that the info updates slowly. And the homes they are seeing may not still be available. It has been another option for buyers in their home search, but not the best option for that in my opinion. "Redfin is low budget. " There actually isn't anything about the redfin business model that I support. It is a discounted service, and I think it is an insult to other agents working their tail off. Everything. I highly discourage discounted real estate services. You are taking away from the hardworking experienced agents who put their all into every transaction. Instead you want to take business away from them, due to charging clients a discounted commission. How is this helping the real estate industry? Stoo taking away from hardworking agents. These should be a standard commission charged across the board. It is great to get your listings on as many of these affiliated sites as possible however redfin is my least favorite. I think it is a sham and makes it seem like agents aren't worth what they make which is far from the truth. "Useful for the Do-It-Yourself House Hunter "
Easy to use, much like many of its competitors. I like the school rating system and I find that its ability to find similar homes in the area to be fairly accurate. Walkability score is a nice addition, as this can be an overlooked concept at times when looking for a home. The map views and filtering systems are all simple and clean. Does not do enough in my opinion to differentiate from its competitors. Searching for income and investment properties. One of a few sites used in my own personal home search. "Redfin organizes the most public real estate data simply"
Redfin gives a beautiful interface for listings from all brokerages and gives a lovely interface for MLS data. Redfin beats out any other brokerage website, in my opinion. Redfin will post pictures of their own agents more prominently than the actual listing agent. Check Redfin along with other websites when considering a property. So much public data is available now for renters/buyers/sellers - information is a weapon and tool when navigating urban real estate. Redfin is an awesome customer-face interface for browsing real listings, and useful for brokers too. They feature prominently on Google rankings also. "Redfin is the best sight for house search"
One thing I don't like is redfin doesn't provide rent estimate for the property on sale. The information is more accurate than other platforms I've used. Redfin by far has the best local market information when evaluating properties. "Great layout and easy to access filters"
I like Redfin's fresh approach to real estate. Refer clients to this site as an alternative to RE/MAX. So far, it seems to up-to-date and reliable. I have used Redfin to help my clients look for homes in NJ and NYC. I find it very easy to use and I have never had any issues with the way the site works! I wish Redfin was able to do rentals and I was able to list rentals on their site as well. I think it could be overall bottom line! "Best UX for a Real Estate Website"
I like the ease of search when using their product, both web and native app. I think they have one of the best map searches in the market. I don't like that the updates are not as quick as some other competitors (realtor.com). Their website is one of the most user friendly websites out there in the market! "Redfin for looking for properties"
I found Redfin very easy to use, more than other property search engines. I did not dislike very much about redfin, althought sometimes I felt like their listings were out of date. It was very easy to search for homes using Redfin. I did not list any properties, so my use was primarily for searching for properties that were listed for sale. Searching for homes using Redfin was very easy. 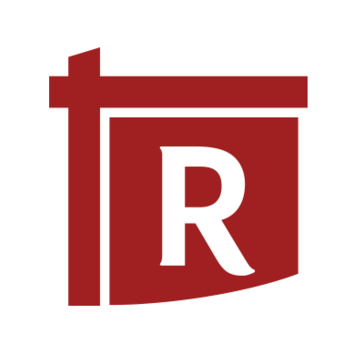 "Great resource for real estate research"
Redfin, hands down, is one of the top resources I've seen for anyone browsing or considering homes or condos. You get good info on the properties, as well as good insights on the agents too! Easy navigation on website for Realtors & clients. It's a good website for clients to use. * We monitor all Redfin reviews to prevent fraudulent reviews and keep review quality high. We do not post reviews by company employees or direct competitors. Validated reviews require the user to submit a screenshot of the product containing their user ID, in order to verify a user is an actual user of the product. Hi there! Are you looking to implement a solution like Redfin?